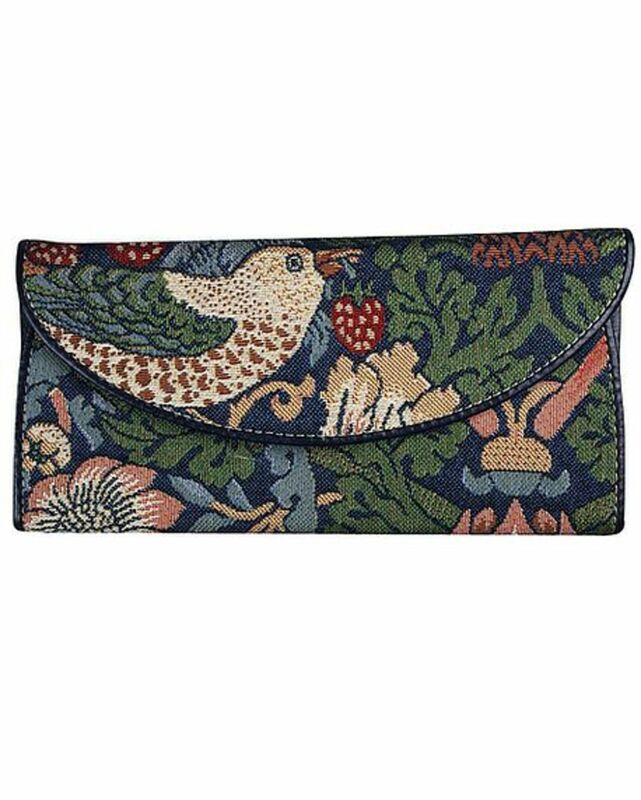 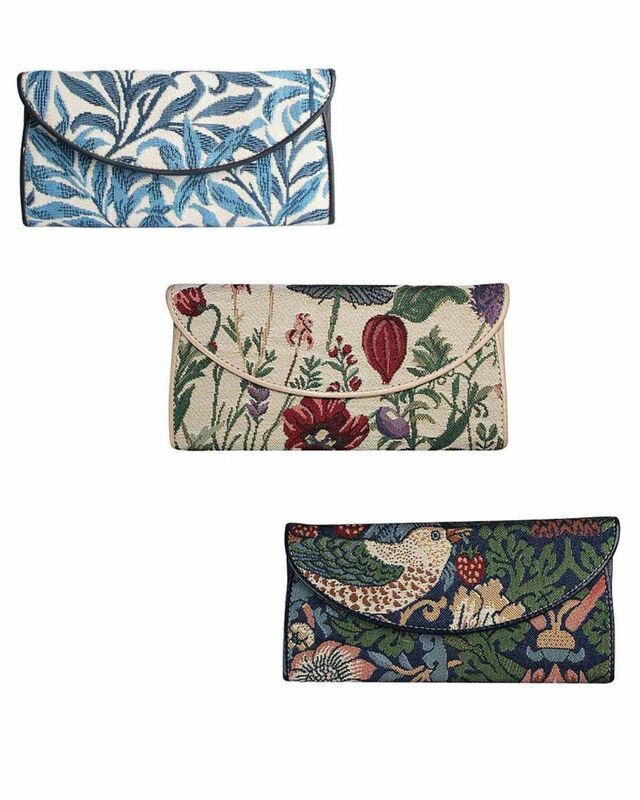 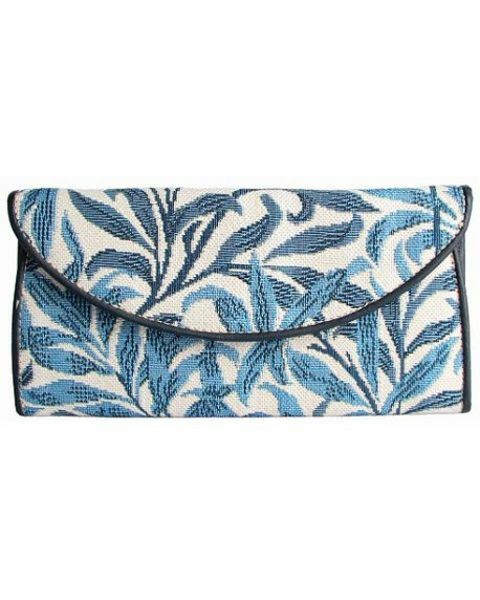 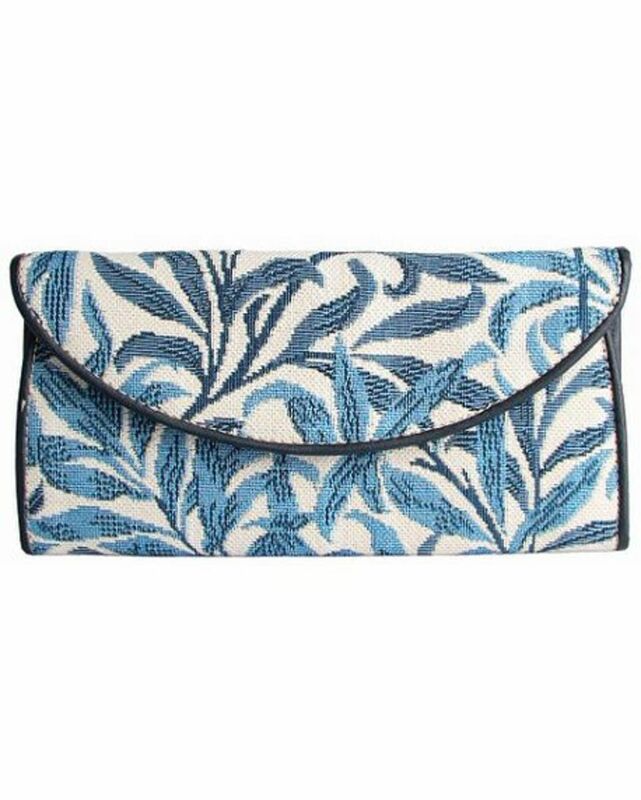 Very useful tapestry purse in three designs. Clasp fastening, inner zipped compartment for coins and pockets for credit cards and notes. 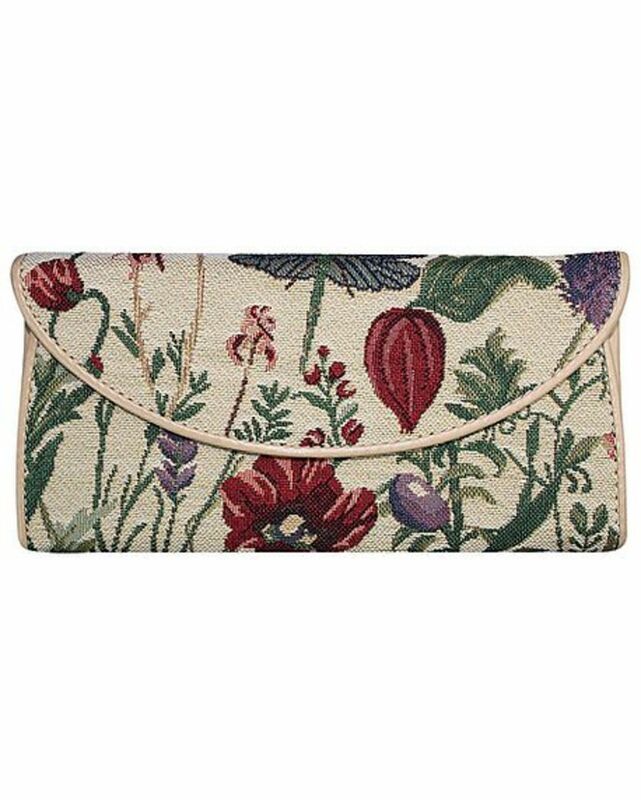 Size 10cm high, 20cm wide.